In the weeks leading up to All Hallows’ Eve you turn to Google Search to ask these two crucial questions. So with just days left to perfect a costume for yourself, your kid, your pooch or your partner, here’s a look at some of the top Halloween costume trends across the United States. 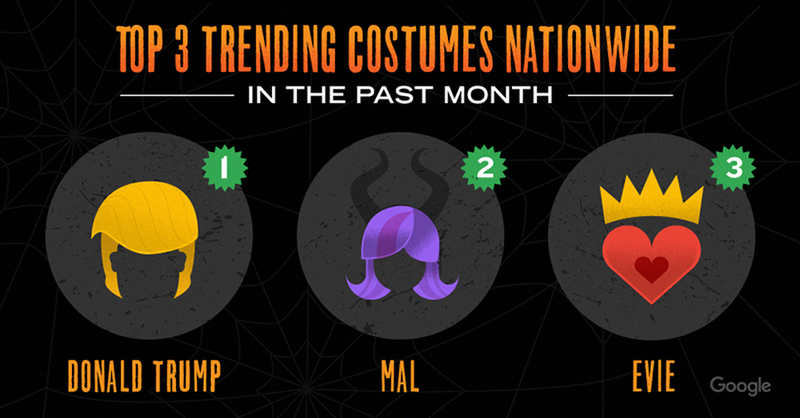 For more, see Frightgeist, our Google Trends Halloween hub. If your costume involves a certain familiar ‘do, prepare to have company. Get-ups based on the bombastic GOP candidate for President are spiking, with the top-related search being “Donald Trump wig.” And don’t go looking for blue or purple hair-dye at the last minute on Saturday: chances are it will already have been bought up by kids dressing up as Disney’s “Descendants” characters Mal and Evie. And if you’re aiming for a unique costume, you might want to avoid buns on the side of your head too. “Star Wars” is the second most searched costume nationwide, and within that Princess Leia reigns supreme above Dark Side standbys Stormtrooper and Darth Vader. 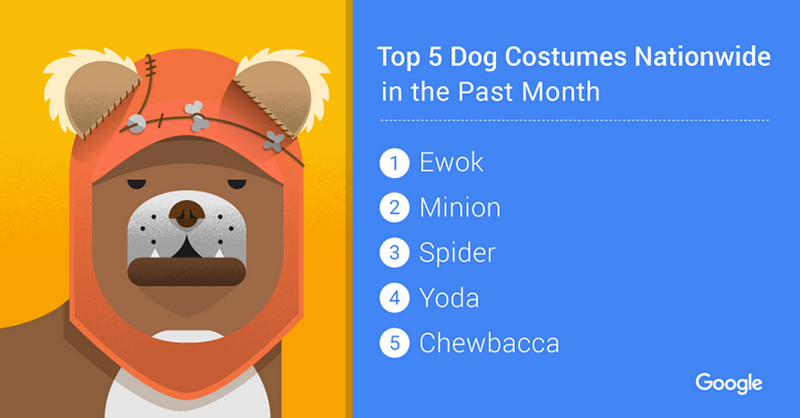 “Dog costume” is always a top search around Halloween—but not because you’re dressing up as Snoopy or Scooby. No, you’re searching for the cutest costume for your four-legged friend. In addition to being adorable, the top dog costumes are just as “Star Wars”-filled as the top human costumes. We assume that’s because they’ve already got the fur and/or ears to make it work. If dressing your pooch as Chewy feels like asking for trouble, other popular canine costumes include “lion,” “dinosaur,” “shark” and … Olaf. Because—ahem—you still can’t let “Frozen” go. Even for adults, Halloween is an excuse to eat junk food. In the past month you’ve searched for candy corn, candy apples and Halloween variations on all of your favorite sweets, from donuts to pudding cups to Kit Kats. 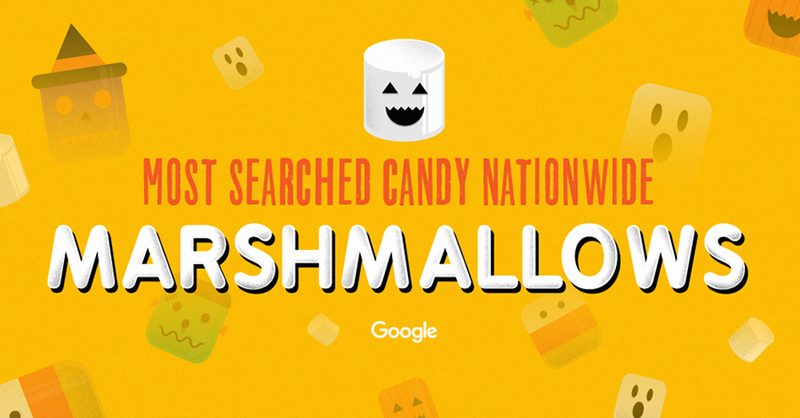 But one candy reigns supreme: marshmallows (no, not that marshmallow) are the top searched candy over the past month.